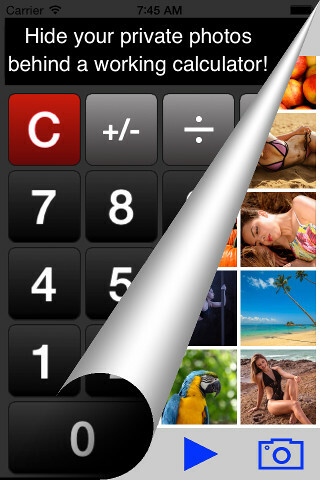 Hide your private photos and videos behind a real calculator! Secret calculator works and looks exactly like any other calculator until yout type in your secret passcode. The calculator then turns into a private storage app in which you can hide your most secret photos and videos. No one can view the images and videos except you! Easily manage and store your private photos and videos in one single app. Secret Calculator comes with a calculator lock type. Discreet and camouflaged on your iPhone, iPad and iPod screen. * Save your secret photos and videos. 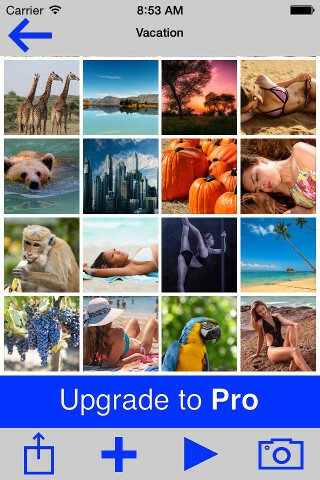 * Take private photos/videos from within the app! * Send photos using email! * Easily export images and albums to DropBox. * You can lock / unlock the app with a password. * Support decoy account to conceal your privacy for further protection. If you are forced to open this app you can hide your real photos by opening the decoy account. * All of your data in this app is stored only on your device. We don't access or store your privacy. The support page is located here!